If you are interested in viewing information about Burzynski Law’s past results and testimonials about Burzynski Law, please read and acknowledge the information below. This section contains information about Burzynski Law’s past results, testimonials about Burzynski Law, and statements regarding Burzynski Law’s quality. 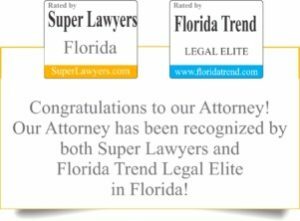 The information has not been reviewed or approved by The Florida Bar. The testimonials you will find on the coming page are from clients or their families. Their outcome was connected to their circumstances. Everyone’s case is unique and results will vary. In fact, we do not provide “cookie cutter” answers but treat each case individually. The testimonials are not necessarily representative of all clients’ experience with our office. They are from only a few of our clients; we could not possibly provide testimonials from all of them. I acknowledge that I have read and understand the above information and would like to view the Testimonials. I do not wish to view the Testimonials, take me back to the home page.